Habibe came to the United States in 1962, as a high school foreign exchange student from Turkey. After completing high school, she went on to earn a degree in Pharmacy from Temple University in Philadelphia. In Pennsylvania, she met and married Ishrat Husain and, in 1973, they moved to the Bay Area. While being a mother and wife, she started and ran the first Weekend Islamic School in the Bay Area for many years. On the 21st night of Ramadan in 1993, she was inspired to start Rahima Foundation to provide groceries to the local, underserved community. As the work grew, the organization was registered as a 501 c(3) Charitable and Educational Foundation in 1997. Her vision was to establish an institution of charity to serve the financial, educational, emotional, social, and spiritual needs of the communities. In the last 25 years, the organization has impacted over half a million lives through food and financial assistance. Habibe Husain specializes in serving indigenous people, refugees, and immigrants who are struggling to meet their basic human needs. Inspired by her faith, her relentless service is a testament to her compassion and dedication. Omair is a business attorney who began practicing law in 2000 and worked for a large national firm prior to co-founding Ellahie & Farooqui LLP in 2008. At Ellahie & Farooqui, Omair manages the High Technology Practice group consisting of professionals with experience in Corporate, Intellectual Property, Employment, and Immigration Law. He works with Rahima Foundation as a board member, assisting with governance and compliance. Maresa was born in Indonesia. He moved to the U.S. to study at CSU Hayward, where he earned a Bachelor of Science degree in Computer Science. He currently works at Adobe Inc. as an engineering manager. He works with Rahima Foundation as a board member and helps with governance and technical challenges/risks. Maresa is passionate about teaching and sharing knowledge; his greatest satisfaction is seeing the look of joy on someone’s face when they finally understand a problem they previously thought was difficult. Ishrat was born in Aligarh, India, grew up in Karachi, Pakistan, and migrated to the US in 1966. He has a Bachelor's Degree from the University of Karachi and a Masters Degree in Physics from University of Pennsylvania. Additionally, Ishrat earned a Master's Degree in Electrical Engineering from Farleigh Dickinson University. After decades of working in the tech industry, Ishrat retired from IBM in 2013 and joined Rahima Foundation in 2014 as its Executive Director and President. Ishrat is married to Habibe Husain, the founder of the organization, and has been involved with Rahima since its inception in 1993. Ambreen holds a degree in communication from Santa Clara University. An activist about food and future, she has been involved with the non-profit sector since 2006. Her primary interests are to link the chain of economic empowerment of women and girls to education and food security, and to develop methods for food sustainability through partnerships, social innovation, and internal and global outreach. She served as the President of Development in Literacy (DIL) and also worked at Kiva San Jose. Sharifa was born and raised in Taiwan. She received her Bachelor of Science degree in Chemical Engineering from National Taiwan University, and then her Masters of Science degree from the University of Wyoming. Currently, she is a supplier quality specialist at Air Liquide. She has been with Rahima Foundation since 1994, and has held various responsibilities throughout the years, including being a Board member. Her flexibility in the role she plays at Rahima Foundation continues to be invaluable. Shakila has a degree in Commerce from the University of Karachi. At Rahima Foundation, Shakila supervises the operations of all the soup kitchen programs. Additionally, she interfaces with clients to fulfill their needs (food and/or financial assistance), and she helps to mobilize the volunteer base for various Rahima events. Additionally, Shakila assists domestic violence clients at NISA (North American Islamic Center for the Abused) and is actively involved in Kharadar General Hospital in Karachi, Pakistan. Uzma has been working with Rahima Foundation since 2007. She graduated from Punjab University in Pakistan and holds a Post Graduate Degree in Sociology. Uzma initially joined Rahima Foundation as a volunteer, but in 2015 she took on the responsibilities of Office Manager. In her current role, Uzma oversees all aspects of the operations of Rahima Foundation. She also works closely with Second Harvest Food Bank in ensuring the supply chain so that 13-14 tons of food is distributed smoothly each month. Sophia is the daughter of Ishrat and Habibe Husain. She received her B.A. in English from UC Berkeley and her teaching credential from UCB's Grad School of Education. She earned her M.A. in Initiatives in Educational Transformation from George Mason University. Sophia was an educator of Literature, Composition, and ESL for 26 years, teaching 6th grade to university level in the U.S., at Al Akhawayn University in Morocco and at Koc University in Istanbul, Turkey. Sophia assists Rahima Foundation by conducting research, creating partnerships with schools, editing materials, updating the Procedures Manual, and helping in the warehouse. Her primary area of interest and expertise is in Rahima Foundation's programs at local schools. 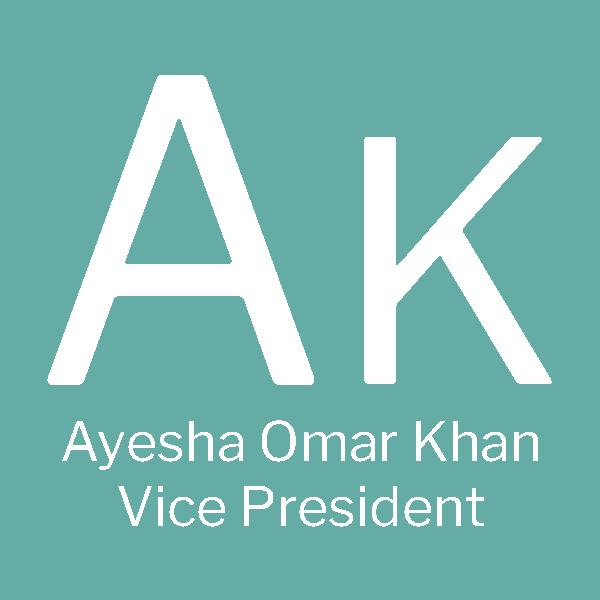 Ayesha Omar Khan has twenty years experience in fundraising and has spearheaded many initiatives in regards to children’s health issues, girls’ education, and food/nutrition. She currently manages the chapter for Rahima Foundation East Bay, 800 snack bags for three preschools in Livermore, and serving seniors at the Dublin Senior Center. Nazia was born in Karachi, Pakistan. She currently lives in South San Jose with her husband, Azhar Anwar, and their two children. She earned her B.A. from University of Karachi, Pakistan and her A.A. in Accounting from Ohlone College in Fremont, CA. In 2014-2015, Nazia worked for the Volunteer Income Tax Association (VITA), a tax program of the IRS run through local charitable organizations, such as Sacred Heart of San Jose, CA, for low-income people. Nazia helped prepare taxes for several dozen low-income families with the goal of maximizing tax credits to help individuals live an honorable life in the expensive Bay Area. She joined Rahima Foundation in June 2018 as a volunteer, and in September as an employee. Her responsibilities are: QuickBooks data entry, documents classifications, donations tracking by day/week/month/year, preparing and mailing end-of-year donation receipts, and general office responsibilities. She feels so happy to be part of Rahima Foundation.